The 28-year-old from Las Cruces, N.M., and now residing in Cameron, Mo., appeared to be heading for a runner-up finish in the season’s first 40-lap main event, but mechanical troubles for race-long leader Rodney Sanders with just five laps remaining cleared the path for Scott. 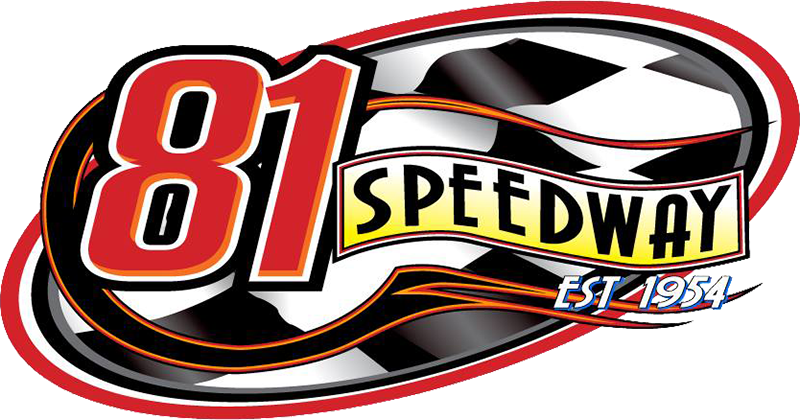 Round 2 of the 9th Annual Summit USMTS Winter Speedweeks continues at the South Texas Speedway on Saturday. Spectator gates open at 5 p.m. with hot laps at 6 and racing at 6:30. 5. (5) 9 Jerad Fuller, Memphis, Mo. DNS – 4v Billy Vogel, West Fargo, N.D., MBCustoms/Durham, $0. 1. (4) 1st Johnny Scott, Cameron, Mo., VanderBuilt/Durham, 40, $3000. 2. (2) 5 Jon Mitchell, Texarkana, Texas, MBCustoms/Sput’s, 40, $1600. 3. (16) 97 Cade Dillard, Robeline, La., MBCustoms/Knowles, 40, $1100. 4. (10) 91 Joe Duvall, Claremore, Okla., MBCustoms/ChevPerf, 40, $900. 5. (15) 4r Dereck Ramirez, Woodward, Okla., Hughes/Cornett, 40, $700. 6. (8) 23 Logan Robertson, Shamrock, Texas, MBCustoms/Knowles, 40, $600. 7. (9) 4m Bobby Malchus, Red Oak, Texas, Rocket/Wells, 40, $500. 8. (5) 174 Ethan Dotson (R), Bakersfield, Calif., MBCustoms/ChevPerf, 40, $450. 9. (7) 65 Carlos Ahumada Jr. (R), Canutillo, Texas, GRT/BMS, 40, $425. 10. (18) 20r Bryan Rowland, Woodward, Okla., BlackWidow/ProPower, 40, $400. 11. (6) 24z Zane Ferrell (R), Hermitage, Ark., MBCustoms/ASI, 40, $375. 12. (20) 23 Adam Kates, Tonganoxie, Kan., VanderBuilt/Speedway, 40, $350. 13. (12) A1 Phil Dixon, Crosby, Texas, Elite/CB, 40, $325. 14. (13) 20t Jordan Weaver, Woodward, Okla., BlackWidow/ProPower, 40, $225. 15. (14) 2s Stormy Scott, Las Cruces, N.M., VanderBuilt/Mullins, 36, $275. 16. (1) 20 Rodney Sanders, Worthington, Minn., MBCustoms/Hatfield, 35, $275. 17. (11) 110 Kelly Buckallew, Memphis, Mo., Rage/Adams, 34, $225. 18. (24) 24 Manuel Williams Sr. (R), Fouke, Ark., Bandit/Kraft, 34, $275. 19. (17) 21 Austin Bonner, Elk City, Okla., MBCustoms/Karl, 11, $275. 20. (22) 137 William Pittaway (R), Corpus Christi, Texas, Shaw/Wells, 8, $275. 21. (23) 33f Jardin Fuller (R), Memphis, Mo., Hughes/Mullins, 8, $275. 22. (19) 4 Bo Day (R), Greenville, Texas, MBCustoms/Mullins, 8, $275. 23. (21) 9 Kevin Rutherford, Flower Mound, Texas, MBCustoms/ASI, 8, $275. 24. (3) 24m Manuel Williams II (R), Fouke, Ark., Bandit/Kraft, 2, $275. DNS – 9 Jerad Fuller, Memphis, Mo., GRT/Mullins, 0, $75. BSB Manufacturing – Jardin Fuller.